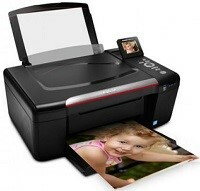 Kodak Hero 3.1 All-in-One Printer Driver/Firmware and Software for Microsoft Windows and Macintosh. Description: With this version of software, you can easily download PrintProjects software, which helps you design, print, and share photo cards, calendars, books, and more. With PrintProjects software, you can print at home or have your creations shipped to you. This version of firmware:The stability of Wi-Fi connectivity.Printing performance on pre-printed or colored paper.Features a new Google Cloud Print™ setup wizard. KODAK Hero 3.1 Mobile Device Firmware – Download (5.43MB)(Not Mac OS). , and filed under Printer Drivers and tagged hero 3.1 software, kodak 3.1 driver, kodak 3.1 firmware.